How to Understand Tx Power vs. Rx Power of a Fibre Transceiver? As we all know, single mode fibre optic transceiver is designed for long distance data transmission and multimode fibre optic transceiver is for short distance link. How to calculate the specific distance that a fibre optic transceiver can support at a certain occasion? What factors are crucial to the transmission distance? Do you have any idea of Tx power (transmit) and Rx power (receive) level of a fibre optic transceiver? This article will show you by introducing 10GBASE-SR SFP+ and 10GBASE-LR SFP module. First, let’s understand the most two important factors of the fibre optic transceiver: Tx power and Rx power. The optical Tx power is the signal level leaving that device and it should be within the transmitter power range. The Rx power is the incoming signal level being received from the far end device and it should fall within the receive power range. 10GBASE-SR SFP+ is a multimode fibre transceiver and can support the distance of 300 m over OM3 multimode fibre patch lead. While 10GBASE-LR SFP module is a single mode type and can run the network distance up to 10 km over single mode fibre patch leads. Before purchasing 10GBASE SFP+ module, you must carefully read the product details. The following lists the product details about 10GBASE-SR SFP+ and 10GBASE-LR SFP module from Fiberstore. As showing below, Tx power of this Cisco compatible 10GBASE-SR SFP+ is between -7.3 dBm and -1 dBm. The maximum receive power is below -11.1 dBm. 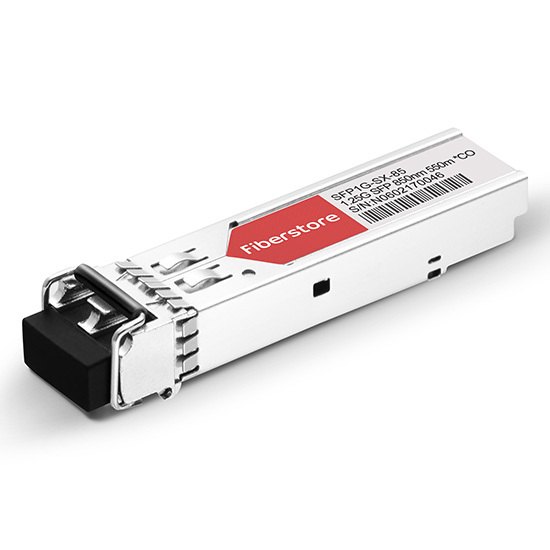 With regard to Cisco compatible 10GBASE-LR SFP module, Tx power is from -8.2 to 0.5 dBm and the maximum Rx power is -14.4 dBm. To calculate the specific distance of a fibre optic transceiver, we need to know its optical power budget (maximum allowable loss). Therefore, according to the Tx power and Rx power, we can calculate the maximum allowable loss of 10GBASE-SR SFP+ and 10GBASE-LR SFP module. 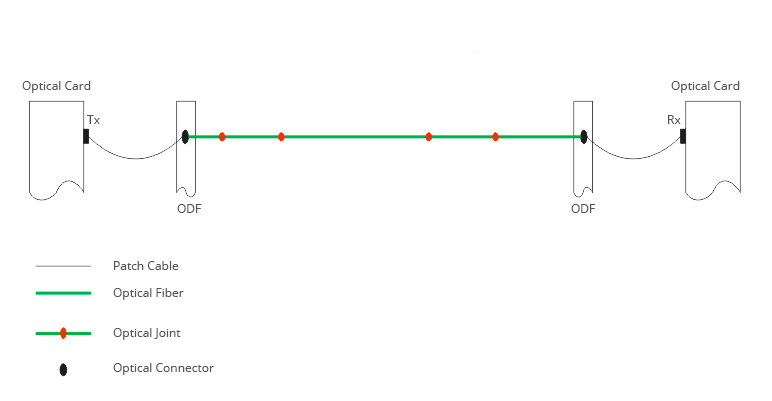 Except optical power budget, we have to consider other factors including the link length, fibre optical connectivity components, fusion splicing points and some unpredictable fibre attenuation caused by fibre patch lead bending (usually the attenuation is about 3 dB). The loss of each connector is 0.6 dB and 0.1 dB of each fusion splicing point. Suppose we use 10GBASE-LR SFP+ module to build a network covering 2 connectors, 4 fusion splicing points. This module is interfaced with LC single mode fibre patch cord. If the single mode fibre cable has the wavelength of 1310 nm, the cable loss is about 0.35 dB per kilometer. So we can get 10GBASE-LR SFP+ module can support at least 4.57 km at this occasion. Data transmission distance is mainly influenced by the optical power budget and fibre cable loss. From the above content, the optical power budget of 10GBASE-SR SFP+ is smaller than that of 10GBASE-LR SFP+ module. The more the optical power budget, the further the fibre transceiver can support. What’s more, the cable loss of multimode fibre cable is larger than that of single mode fibre cable. Obviously 10GBASE-LR SFP+ module can support longer link distance than 10GBASE-SR SFP+. Note: The optical power budget is based on a theoretical calculation, and is just for reference. The transmission distance should be calculated based on the power budget of fibre transceiver module tested on the switch and some practical attenuation. Tx power and Rx power level of a transceiver are the main factors of transmission distance. The more the optical power budget, the better the transceiver. Before purchasing a transceiver, you’d better calculate the optical power budget according to transceiver module details. How to Check SFP Module Optical Signal Strength? 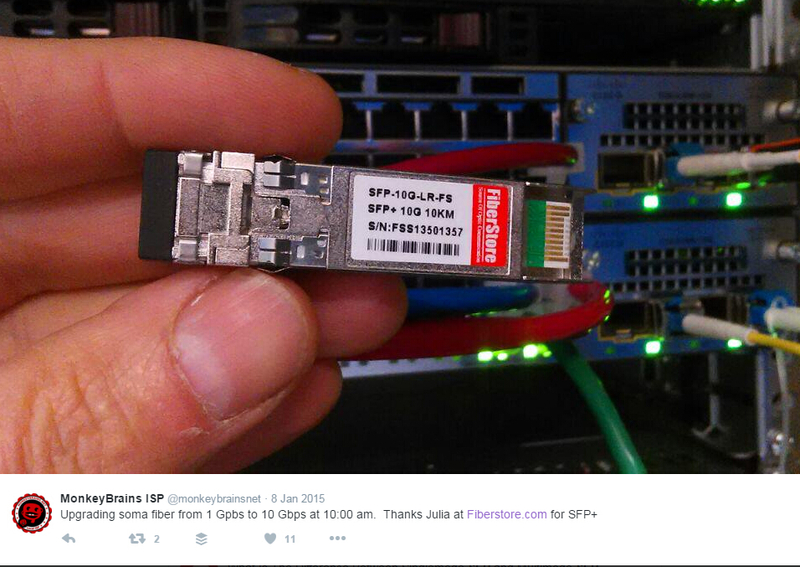 This entry was posted in Fiber Optic Transceivers and tagged 10GBASE-LR SFP module, 10GBASE-SR SFP, fiber transceiver, Rx power, Tx power, Tx power vs Rx power on March 14, 2017 by laura. Why not Use Third-party Fibre Transceivers for Ubiquiti Switches? Ubiquiti is famous for its switches such as Edge Switch, Edge Router, UniFi switch. Last year, this manufacturer officially released its own SFP and SFP+ fibre optic transceivers which are compatible with their switches. At the same time, it’s said that fibre transceivers from some fibre optic transceiver manufacturers such as Fiberstore can support Ubiquiti switches. This article will discuss what kind of third-party fibre transceivers are compatible with Ubiquiti switches and which fibre optic transceiver manufacturers is the most reliable. Ubiquiti switches are specially designed for 1G and 10G network. They didn’t produce their own fibre transceivers until last year. They only provide a small amount of single mode and multimode fibre transceivers. UF-MM-1G and UF-SM-1G-S are designed for SFP ports on Ubiquiti switches. And fibre transceivers like UF-MM-10G, UF-SM-10G, UF-SM-10G-S are for Ubiquiti switches’ SFP+ ports. Except their own SFP or SFP+ transceivers, those from other fibre optic transceiver manufacturers like Cisco, Dell, HP, Finisar, Brocade have been tested to be compatible with Ubiquiti switches by some users. Cisco, the world famous fibre optic transceiver manufacturer, has seven SFPs supporting Ubiquiti switches, Cisco GLC-LH-SM 30-1299-01 SFP, Cisco GLC-SX-MM, Cisco GLC-SX-MM 1000BASE-SX SFP, Cisco SFP-H10GB-CU1M, Cisco MGBSX1 Gigabit SX Mini-GBIC SFP Transceiver and Cisco GLC-T. Besides, for 10G network, Cisco SFP-10G-SR can be plugged in SFP+ ports on their switches. Fiberstore also has a wide variety of SFP and SFP+ transceivers compatible for Ubiquiti switches. Users have recommended some SFPs and SFP+s from Fiberstore, for instance, SFP1G-LX-31 1310nm (single mode SFPs), SFP-1G85-5M (multi-mode), SFP-GB-GE-T Module, SFP-10G85-3M (multi-mode). There are so many third-party transceiver manufacturers providing compatible fibre transceivers fro Ubiquiti switches. But which fibre transceiver supplier should you choose? The answer is Fiberstore. Now let’s see why Fiberstore is more advantageous by comparing Ubiquiti with Fiberstore fibre transceiver. Fibre Transceiver Category—Ubiquiti has only one single mode SFP and one multimode SFP. 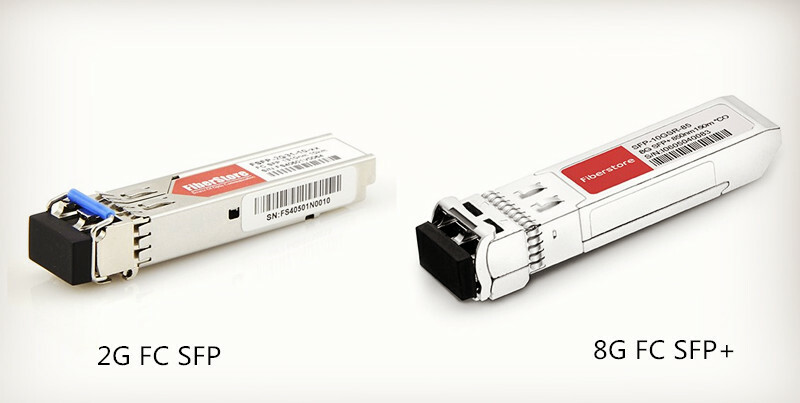 As to SFP+ transceivers, there only two single mode modules and one multimode module. The fibre transceiver category is very limited. While users have plenty of choices for SFPs and SFP+s from Fiberstore. As mentioned above, Ubiquiti switches support some fibre transceivers from third-party fibre optic transceiver manufacturers. Fiberstore offers many compatible brands like Cisco, Dell, HP, Finisar, Brocade, etc. Those SFPs and SFP+s have been tested to be suitable for Ubiquiti switches. Fibre Transceiver Quality—Some fibre optic transceiver manufacturers produce SFP and SFP+ transceivers with low price. However, the quality of those fibre transceivers can’t be assured. In our test centre, we have switches from Cisco, Dell, Extreme, Juniper and other famous brands. Every fibre transceiver offered by Fiberstore before shipping has to go through strict test to assure 100% compatibility and high performance. Fibre Transceiver Price—Except fibre transceiver quality, fibre transceiver price is another important factor to be considered. Compare fibre transceiver price of Fiberstore with that of other fibre optic transceiver manufacturers, it’s obvious that Fiberstore has more advantages. That’s one of the reasons why Fiberstore wins popularity among customers. You can check the following screenshots about the feedback from customers. If you have to purchase fibre transceiver for your Ubiquiti switches, you can get SFP or SFP+ from Ubiquiti. Or you can buy from third-party fibre optic transceiver manufacturers. How to choose a reliable supplier from so many fibre transceiver manufacturers? When buying fibre transceiver, the quality, price, and after-sales service should be considered. As one of fibre optic transceiver manufacturers, Fiberstore is suggested to be a good choice for fibre transceiver needs. For more information about FS.COM fibre transceiver, please visit our site www.fs.com/uk or contact us via sales@fs.com. This entry was posted in Fiber Optic Transceivers, SFP Transceiver and tagged fiber transceiver, Fiber transceiver price, Ubiquiti switch on March 7, 2017 by laura. What Distance Can 100G QSFP28 Transceiver Support? The rapid growing bandwidth keeps driving the need for 100G transceivers to build data centres, enterprise, long-haul networks. Just as 1G, 10G optical modules, 100G QSFP28 transceivers also have single-mode and multimode categories to support short and long distance network links. So what kind of QSFP28 transceivers are included? What distance can each QSFP28 support? Multimode 100G QSFP28 modules are used for short distance applications, such as QSFP28 Cisco QSFP-100G-SR4-S 100GBASE-SR4 transceiver. It provides 100GBASE-SR throughput at a wavelength of 850 nm by connecting with multimode MTP/MPO cable. It can support the link lengths up to 70 m over OM3 MPO fibre patch lead and 100 m over OM4 MPO fibre patch lead. But there is a special 100G QSFP28 transceiver–QSFP-100G-PSM4-S. This QSFP28 is a single-mode transceiver. It carries 100G data over 12-fibre single-mode MPO fibre patch cords. However, the maximum link lengths it can support is only 500 metres. To support long distance signal transmission, single-mode transceivers are generally selected. The following will list some 100G QSFP28 modules which can reach the link distance from 1 km to 10 km. QSFP28 100GBASE-CWDM4. This transceiver applies WDM multiplexing and demultiplexing technique and carries 100G Gigabit Ethernet signal over four wavelengths. Different from the above two 100G QSFP28 optics, it’s configured with duplex LC interfaces. With QSFP28 100GBASE-CWDM4 modules, you can build networks with link lengths up to 2 km over single-mode duplex LC patch cords. QSFP28 100GBASE-LR4. This hot-pluggable 100G QSFP28 form factor can support 103.1Gbps data rate. It’s compliant with the QSFP28 MSA and IEEE802.3ba 100GBASE-LR4. The 100G data is transmitted over four wavelengths. Because of multiplexing and demultiplexing within this QSFP28 transceiver, it matches duplex LC patch cords. And it can support links up to 10 km over single-mode LC fibre cable. In fact, 10km link lengths of 100G can’t meet users’ demands. So 100G QSFP28 which can support over 10km lengths are needed to build long-haul network. Due to the optic package size and the maximum power, the distance supported by 100G QSFP28 transceivers are restricted. Vendors are required to research and develop optics that allow for existing high power components and devices to consume lower power in a smaller space. It’s said there are 100G QSFP28 ER4 and 100G QSFP28 ZR4 transceivers in the market. Each can support the maximum network link lengths up to 30 km and 80 km. But consumers can’t easily get those 100G QSFP28 modules. But we believe that ER4 and ZR4 technology will be available in the market sooner or later. At present, if your switch ports are QSFP28 and you need to build 100G network links over 10km, you are suggested to apply amplification technology. The other method is 100G CFP ER4 that support 40km link lengths. Of course your switch port should be CFP or you can find a device to convert QSFP28 to CFP. 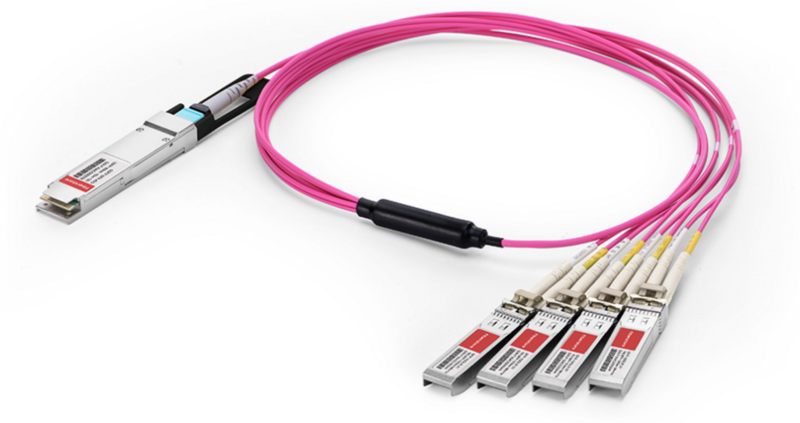 Now people can get 100G QSFP28 transceivers for link lengths up to 10 km. Yet not too many transceiver vendors have enough stocks. In the Internet era, what is important is the speed. Thus, seek for reliable vendors who have huge stocks of QSFP28 like FS.COM. And we will release 100G-QSFP28-ER4 and 100G-QSFP28-ZR4 in the future to support longer distances. This entry was posted in Fiber Optic Transceivers and tagged 100G QSFP28, optical transceiver, QSFP28 100GBASE-CWDM4, QSFP28 100GBASE-LR4, QSFP28 100GBASE-SR4 on February 14, 2017 by laura. How to Select Fibre Patch Lead for 40G QSFP+ Modules? As the speed changes from 1 to 10 Gbps and now increases from 10 to 40 Gbps and even 100 Gbps, data centres develop into more complex systems. So different optical technologies and cabling infrastructure are required. For 40G data rates, the special transceiver module is QSFP+ (Quad Small Form-Factor Pluggable Plus). To build 40G data centres, you need to select suitable fibre patch lead for 40G QSFP+ Modules. But how? 40G transmission network needs advanced switch, matched patch leads and transceiver modules. The quality of these connections can largely affect the reliability and stability of the whole 40G network. However, connectivity of 40G is much more complex than ever. Thus, selecting the proper fibre patch cables for 40G network is more difficult and becomes a big issue in 40G migration. As mentioned, QSFP+ transceivers are suggested for 40G, this article will provide as detailed as possible about fibre patch lead selection for 40G QSFP+ transceivers. Patch cable is very important to 40G network not only because the switch connections necessity, but also because of the transmission principle of the fibre optic signals and the high density trend of 40G transmission. 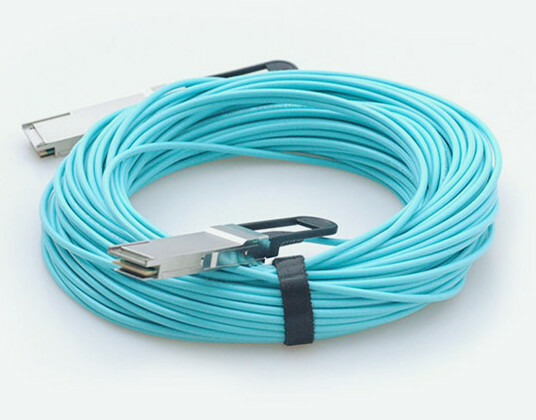 Several important factors like cable, connector and switch port should be taken into account when selecting patch leads for 40G QSFP+ transceivers. Fibre patch lead is essential for the network performance. Optical signals perform differently when information transforms through the cables with different wavelengths. When people buy fibre optical patch leads for 40G QSFP+ transceiver, they often ask if a 40GBASE universal QSFP+ transceiver working on wavelength of 850nm can be used with OM1 patch leads. The answer is yes, but not suggested. Why? As the optical signal transmission distance gets shorter, the data rate increases. The transmission distance and quality would be limited by using OM1 optical cable with 40G QSFP+ transceiver. OM1 cable is only suggested for 100 Mb/s and 1000Mb/s transmission. Two upgraded cables—OM3 and OM4 are suggested for 40G QSFP+ transceivers in short distance. IEEE has announced standards for 40G transmission in both long distance and short distance, which are 40GBASE-LR4 and 40GBASE-SR4. (LR stands for long reach and SR stands for short-reach and). For long reach, single-mode fibre is suggested for 40G transmission with the distance up to 10 km. For short reach, multimode fibre—OM3 (up to 100 metres) and OM4 (up to 150 metres) is suggested for 40G transmission. OM3 and OM4, which are usually aqua-coloured, are accepted economic solutions for 40G in short distance with lower insertion loss and higher bandwidth. 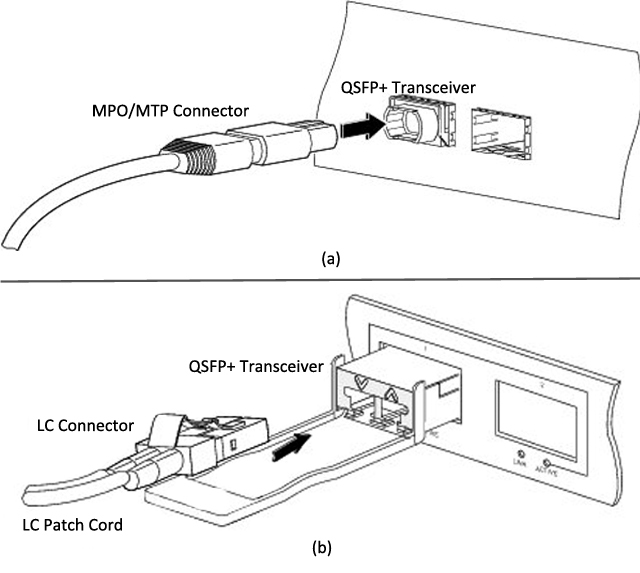 The connector type of the patch leads should depend on the interface of 40G QSFP+ transceiver. Now there are two interfaces commonly adopted by 40G QSFP+ transceiver and they are MTP and LC. Usually 40G QSFP+ transceiver with MPO interface is designed for short transmission distance and LC for long transmission distance. However, several 40G QSFP+ transceivers like 40GBASE-PLR4 and 40GBASE-PLRL4 have MPO interfaces to support long transmission distance. High density is the most obvious characteristic of 40G transmission, which is largely reflected in the MTP connectors on patch leads used with 40G QSFP+ transceiver. As QSFP+ transceiver uses four 10G channels, MTP cable which uses 4 pairs of fibres with can provide a time-save and stable solution for 40G QSFP+ transceivers. Besides, 40G QSFP+ transceiver with LC interface is also available. This type of QSFP transceiver uses four lanes with each carrying 10G in 1310nm window multiplexed to achieve 40G transmission. For this type, patch cable with duplex LC connector should be used. The importance of network flexibility gradually reveals as the speed of Ethernet increases. Cabling options for 40G network are 40G QSFP+ to 40G QSFP+, 40G QSFP+ to SFP+. It’s very common that 40G ports is needed to be connected with 10G port. In this case, fan out patch cable with MTP connector on one end and four LC duplex connectors on the other end is suggested. Factors like single-mode or multimode fibre jumpers, fibre patch lead connector and switch port are important in selecting the right patch leads for 40G QSFP+ transceivers. They are closely related to the transmission distance, network flexibility and reliability of the whole 40G network. But in practical cabling for 40G QSFP+ transceivers, there are more need to be considered. Planning and designing takes a lot of time and may not achieve results good enough. However, FS.COM can solve your problems with professional one-stop service including the cost-effective and reliable network designing and 40G products. This entry was posted in Fiber Optic Transceivers and tagged 40G QSFP+, fiber patch cable, LC, MTP, multimode, single-mode on February 5, 2017 by laura. As usual, optical transceivers such as SFP or SFP+ use two fibres to transmit data between switches. One fibre is used to transmit data to the network equipment and the other fibre is utilised to receive the data. As to the transceiver modules of high speed data rate like QSFP-40G-SR4 and QSFP-40G-ESR4, they need more fibres. Is there any technology allowing transceivers to transmit and receive through one single optical fibre or two fibres for QSFP+? In fact, this can be achieved by Bidi transceivers. The answer is yes. And that kind of transceiver is called BiDi transceiver. Bidi (Bi–Directional) transceiver is also known as WDM transceiver, because it applies wavelength division multiplexing (WDM) couplers, also called diplexers, which combine and separate data transmitted over a single fibre based on the wavelengths of the light. Compared with traditional transceiver modules, BiDi transceivers can cut your cost on fibre cabling infrastructure by requiring fewer fibre cables, reducing the number of fibre patch panel ports and saving fibre cable management space. Based on the obvious advantages, you should deploy BiDi transceivers in your network. Here will recommend you several kinds of BiDi transceivers of 1Gbps, 10Gbps and 40Gbps. BiDi SFP transceivers transmit and receive optical signal through a single fibre on the wavelengths of 1310 nm & 1490 nm, 1310 nm & 1550 nm, 1490nm & 1550 nm. BiDi SFPs include the supportable data rate of 100Mbps and 1000Mbps. Take the Cisco GLC-BX-U compatible 1000BASE-BX-U BiDi SFP as an example. The wavelengths of the BiDi SFP are 1310 nm and 1490 nm. It can support the link lengths of 10 km over LC simplex fibre patch cable. As shown in the following figure, a pair of Cisco GLC-BX-U compatible BiDi SFPs are linked via a single LC simplex fibre patch cable to build the direct connection of two Cisco Catalyst 4948E-F switches. Bidi SFP+ transceiver is enhanced SFP designed to support 10Gbps data rate with link lengths up to 80 km over one fibre. It uses WDM technology sharing 1270 nm & 1330 nm. Take a look at the figure below. It’s about the direct connection for 10G BiDi SFP+ in room wiring. The two Cisco SFP-10G-BXU-I compatible 10GBASE-BX10-U SFP+ transceivers are plugged into Cisco Nexus 9396PX switches. The connection is achieved by using an LC simplex fibre patch cable. It’s a simplest and cost-effective way to build 10 Gigabit Ethernet connectivity for data centre. 40G BiDi QSFP+ transceiver is specially designed for high density data centre. With QSFP+ BiDi transceivers, you can get 40Gbps network over 10Gbps cable. In this way, you don’t need to replace all 10G two-fibre patch cables with 8-fibre MTP/MPO patch cable if you need network upgrade. In Figure 3, we use Cisco QSFP-40G-SR-BD compatible 40GBASE-SR BiDi transceivers for the direct connection of two switches. Instead of applying 40G MTP patch cable, we can just plug the common LC-LC fibre patch cable into the transceivers to get 40Gbps network. It saves you lots of costs. Warm Tips: When you buy a BiDi transceiver, you may notice wavelengths are labeled on the BiDi transceivers like 1270nm-TX/1330nm-RX or 1270nm-RX/1330nm-TX. From this perspective, you can see this type of transceivers should be used in matched pairs, with their diplexers tuned to match the expected wavelength of the transmitter and receiver that they will be transmitting data from or to. BiDi transceivers may be more expensive than common transceiver modules, but they can save you the cost on fibre cables from the long run. FS offers BiDi transceivers of various data rates which are highly compatible with some famous brands. If you plan to purchase BiDi transceivers for building or upgrading your network, you can visit our site www.fs.com. This entry was posted in Fiber Optic Transceivers and tagged BiDi QSFP+, BiDi SFP, BiDi transceivers on December 29, 2016 by Admin. UniFi switches has been introduced into the market by Ubiquiti (The other kind is Ubiquiti EdgeSwitch). The UniFi switch provides fibre connectivity options for easy expansion of your networks. This article will introduce the main features of UniFi switches, supportable SFP and SFP+, and easy tips for building network with UniFi switch. UniFi switch delivers high performance to satisfy your growing network. The Ubiquiti UniFi switches include US-24 and US-48. US-24 can support data rates up to 26 Gbps while US-48 can support the network speed up to 70 Gbps of non-blocking throughput. Main features of these two switches are described as below. Except the above two switches, there are some other kinds containing US-8-150 (with 8 Gigabit RJ45 ports and 2 SFP ports) and US-16-150W (with 16 Gigabit RJ45 ports and 2 SFP ports). Both switches are available with different models. You can find the details about these models from the following table. If you are wondering which SFP and SFP+ are suitable for UniFi switch, you can get the answer now. You have two choices for getting suitable transceiver modules. Ubiquiti produces single-mode and multimode SFP and SFP+ modules for UniFi switches. UF-MM-1G and UF-MM-1G-S are designed for SFP ports. Three modules such as UF-SM-10G, UF-SM-10G-S, and UF-MM-10G are appropriate for SFP+ ports. Of course, transceiver modules for UniFi switch are not limited to these original SFP/SFP+. A wide range of third-party transceivers can also work with UniFi switch. The following table will show you some compatible SFPs for Unifi switch from FS.COM. To build the UniFi network, you have to prepare installation screwdriver, at least 1U rack, UTP Cat 5 (or above) for indoor applications and STP Cat5 (or above) for outdoor applications. It’s quite easy. First, install the UniFi switch on the rack with four mounting screws. Then plug one end of the power cord into the power port of the UniFi switch and the other end into the power outlet. Second, connect Ethernet cables from your devices to RJ45 ports of UniFi switch. Third, plug an SFP transceiver into the SFP port if you need to use it. After that, connect the SFP module with a fibre patch lead. UniFi switches are very commonly used for network connection. To build the network, you don’t need to spend much time on searching cables or modules from the internet. FS.COM offers fibre patch leads and Ethernet cables for your connection. We also provide some compatible SFPs and SFP+s definitely compatible for UniFi switch. Every module has been strictly tested to make sure high quality. Just come to our site and you must get 100% compatible SFP or SFP+s for your UniFi switch. This entry was posted in Fiber Optic Network, Fiber Optic Transceivers and tagged unifi sfp module, unifi switch sfp compatibility, UniFi Switches on December 13, 2016 by laura. What’s the Difference Between Cisco GLC-SX-MM and Cisco GLC-SX-MMD? Cisco 1000BASE SFPs keep a huge market share in the optic area. Cisco SFPs offer users optical solutions for long distance and short distance transmission. For short distance, there are 1000BASE SX SFP, such as Cisco GLC-SX-MM and Cisco GLC-SX-MMD. Though these two modules have great similarity, they are actually different. Then what’s the difference? This article will introduce the details of Cisco GLC-SX-MM and Cisco GLC-SX-MMD SFP transceiver modules. Cisco GLC-SX-MM 1000BASE-SX SFP is a duplex transceiver for short distance transmission, operating at the wavelength of 850 nm at the data rate of 1Gbps. It connects with OM2 multimode LC patch cords supporting up to 550 meters. The hot-swappable 1000BASE-SX SFP is compatible with the IEEE 802.3z 1000BASE-SX standard. And it’s RoHS compliant. Cisco GLC-SX-MMD 1000BASE-SX SFP is another type of hot-swappable optical transceiver for short reach data transmission. This 1000Base-SX transceiver supports data rates up to 1.25Gbps. Same to Cisco GLC-SX-MM SFP, it also has duplex LC interference. Connecting with OM2 MMF, it can support the distance up to 550 meters. It’s compliant with SFP Multi-Source Agreement (MSA) standards. Cisco GLC-SX-MMD is composed of five parts: the LD driver, the limiting amplifier, the digital diagnostic monitor, the VCSEL laser and the PIN photo-detector. The Digital Diagnostic Monitoring (DDM) function is its special feature. From the above content, you can see the main difference between these two transceivers is the DDM. When you buy SFP transceivers in the market, you may come across this selection difficulty whether to choose an SFP with DDM or not. So what’s DDM? DDM is short for digital diagnostic monitoring. It’s also known as diagnostic optical monitoring (DOM). Diagnostic monitoring interface outlined in the SFF-8472 MSA is an extension of the serial ID interface defined in the GBIC specification, as well as in the SFP MSA. Today, many SFP transceivers have the function of digital diagnostics monitoring according to the industry standard MSA SFF-8472. It provides the important information about the status of the transmitted and received signals. This approach allows for better fault isolation and error detection. DDM mainly plays the role in two sides: monitoring and warning. It monitors detailed information about a transceiver. And it offers a system of alarm and warning flags which alert the host system when particular operating parameters are not in line with the normal operating parameters set by the factory. So users can find out the fault isolation according to outcomes of DDM, and predict failure possibilities and prevent such fault. Real-time monitoring—With a 2-wire serial bus (also known as “I2C” or “I2C” protocol), digital diagnostics can monitor the SFP module’s temperature, receiver power, transmitter bias current, and transmitter power by a microcontroller inside the transceiver. Usually, the output of the physical value of each parameter is an analog voltage or current from the Trans impedance amplifier, the laser driver, or the post amplifier. Then the digitalised value can be processed as part of a control loop, trigger an alarm, or just record the data into a register. Calibration and warning thresholds—In addition to generating digital readings of internal analog values, DDM can also produce various status bits. Calibration and warning thresholds value is made during the device manufacturing process. Comparing current values generated by DDM and factory preset limits, users will know whether or not the transceivers have met the desired operation requirements. FS.COM brings Cisco compatible 1000BASE-SX SFPs including GLC-SX-MM and GLC-SX-MMD SFPs. The 1000BASE-SX standard optics are developed to support lower cost multi-mode fibre runs in horizontal and shorter-length backbone applications. The following figure shows two Cisco GLC-SX-MM SFP transceivers are connected by an LC MMF patch cable. Note: you can use GLC-SX-MMD SFPs to replace GLC-SX-MM SFPs for shorter-length backbone application, too. This article introduces Cisco GLC-SX-MM and Cisco GLC-SX-MMD SFP transceivers. Both kinds can realise short distance connection. The difference is that GLC-SX-MMD has DDM function while the other has no. So it’s up to you to decide whether you need DDM function to monitor parameters of the SFP. Fiberstore supplies optical transceivers with DDM and without DDM to satisfy customers’ different needs. If you need more information, please contact us via sales@fs.com or visit our site www.fs.com/uk. This entry was posted in SFP Transceiver and tagged GLC-SX-MM, GLC-SX-MMD, optical transceiver, SFP transceiver on November 22, 2016 by laura.